A few months back I did an interview with Adam S. McHugh [that's me!] 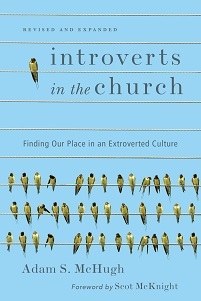 for his blog the Introverted Church. In the interview I pretty much outed myself as not being an extrovert. This came as a surprise to a lot of people who have interacted with me over the years. Many of them were surprised because I clearly don’t come across all the time as an introvert. But, it’s true. I don’t get energy from being around people and I need a lot of alone time to recuperate after an event. I call myself a “Functional Extrovert” which in general just means I can “fake” it really well. This doesn’t mean I don’t like people. I love people and being around people. I find myself at conference, camps and events sleeping very little because I don’t want to miss anything. At times I do this really well. But, you should see me in the few days after those events. I’m a wreck and really wiped out. One of the dominate beliefs since the early days of youth ministry is that youth workers needed big outgoing dynamic personalities. The paradigm was that youth workers needed to be Outgoing Extroverts who “drew” students to them like the Pied Piper. And in many cases this model of youth ministry worked really well. The “superstar” youth worker was the leader who received all the praise, had some of the largest ministries and was invited to speak at all the conferences, retreats and events. But, this model also worked pretty horribly when that Youth Worker left, fell apart or had a life transition. It used to be that Introverts didn’t have much place in our ministries. It was difficult to figure out what to do with someone if they weren’t a dynamic outgoing personality. But, I think things have changed. One thing I’ve seen happen in the last 5 years is an explosion of new ways in which introverts can have larger roles. With the rise in new media we’ve had a whole bunch of people who blog, tweet, e-mail, text, Facebook etc. all of the sudden how find a place where their voices are being heard by many people yet they are not forced to try to fit into big upfront roles. It used to be that the youth workers who wrote books were only those who were also speaking, teaching at conferences and big events. Now that’s not the case. A whole bunch of new voices of youth workers are starting to write and publish amazing content independent of having to be those upfront voices or major extroverts. I think this is a great thing (says the guy who is sitting alone in his office) because it gives a voice and a place for introverts. Now we should be able to approach people in our church who might not be the stereotypical youth workers and find great meaningful roles for them to be a part of. My challenge is to churches to really think about what the needs are for their students and ministries. I think a lot of churches think they are “one hire” away from having a great dynamic youth ministry program. In general a lot of people have still bought into the Extrovert model and believe that if they can just find that right person things will be great. But, it might be that hiring a behind the scenes master planner, organizer and thinker might actually be a better fit/need for the longer term success of the ministry. So if you are not an extrovert you are fine. You can do great youth ministry. My advice is to do what I do and make sure to set your self up for success and have great trips, activities and retreats that you can go on and love and care for students but also make sure you have some downtime to be able to recharge in the midst of it. This post may seem slightly similar to my last post but I think there are enough differences that I decided to write it separately. I do a lot of consulting with churches and youth workers who all have decided that they need the same things. Many churches just feel like a great “Up front” dynamic presence who is a master communicator and story teller will likely draw students into the ministry and then they can feel successful about their youth ministry. Youth Workers in general have bought into this belief too and the most highly prized ones are those who are the most visibly gifted up front. But the truth is this is hurting our field. Think about it for a second. 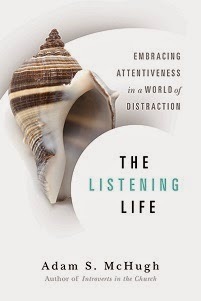 How many of us have sat in a seminar or a youth ministry event and listened to a super engaging up front communicator tell story after story without really saying anything. I’ve fallen into this trap too. There was a joke at a church I worked a few years ago that I couldn’t teach without telling some sort of story about the Island I grew up on. I was really good at telling stories and keeping students attention. But, I was really bad about doing what I was supposed to do which was teach the Bible. When we overemphasize the role of the upfront communicator we put that person in a position where they start becoming as important as the content/message/Bible they are supposed to be teaching. Think about some of these dynamic communicators. What has happened when they left? Is the Youth Ministry teaching time about Jesus or is about their communication style? Did we make the youth ministry about entertainment and keeping their attention or did we fail at promoting a real concept of what following Jesus will look like. It’s hard. Now if you know me then you know I am a good communicator. It’s something I do value and for whatever reason God gifted me in it. If I wanted too though I could not study, prepare or plan a message and just get up and teach from the seat of my pants. And students would like it and keep coming back. So maybe this post is my way of telling myself to be careful. But, I also think there are a ton of great youth workers who feel like they are constantly out of place because the expectation is that they will be great up front communicators and they just don’t know how to do that. Have we decided incorrectly that any gift is more important than others in the youth ministry world? So if you are a youth worker who doesn’t feel like you can be up front, if you feel like you aren’t valued because you aren’t dynamic, if you feel marginalized because your church (or places you’ve interviewed) don’t value your gifts. Please know that you are valuable. I’ve been told over the years that I have a bit of craziness in me. It comes out in general on trips when I have an large amount of free time and am spending a ton of extended time with students. There are appropriate times for this kind of ministry. We do an event every year for our 5-6th graders which basically ends in a huge shaving cream war. A similar thing happens on a Middle School event. Come to think of it most of our fun events seem to end with me covered in shaving cream. But there is a lot more to ministry than just being wild and crazy. In fact sometimes being crazy is what hurts your ministry the most. I’m a parent of three kids. I want my kids to have fun at church and I appreciate leaders with energy but I’m also a bit leery of leaders who sometimes clearly don’t know how to shut it down. Like I said above there are appropriate times for it but sometimes it gets in the way. Being a kid magnet is sometimes a great thing and helpful in ministry. Who doesn’t want to feel like kids want to hang out with you and without trying to hard they come to you. But, there is also a great place in ministry for the man or woman who is consistent, regular and prepared. For someone who week in and week out has proved that they will always be there and students know that they can always turn to them. I had a volunteer who was a part our ministry early on in California. I haven’t worked with him in 13 years. But, every year without fail he calls us on our anniversary. This year I happened to post that on Facebook and a whole bunch of people commented that he does the same thing for them. That’s an amazing testimony to commitment. There are times in ministry that all of us need to break free of our comfort zone. For me I have to “gear up” and get ready for events. It’s literally almost like a locker room talk that I give myself before an event. I mentally think through how I need to act and the energy I need to have in order to make sure that students have a good time. Of course afterwards I’m a wreck and tired but generally it’s worth it.